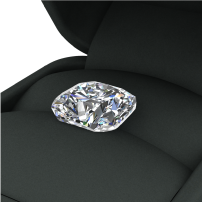 This Cushion Modified diamond is 0.41 carat in weight, and comes with Very Good polish and Very Good symmetry, as verified from an independent gemological laboratory. 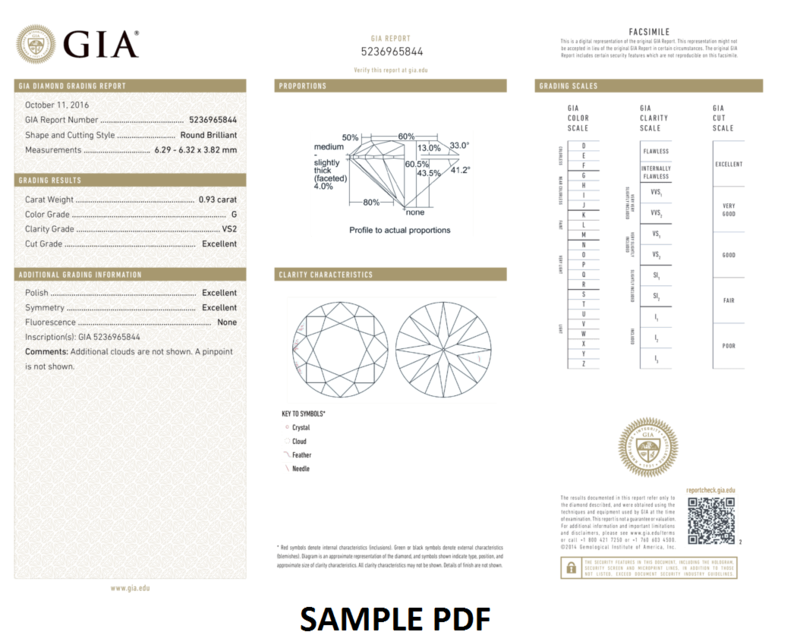 The diamond is graded H in colour, and has a clarity grade of VS1 The diamond’s GIA grading report number is 16663285, which will detail further its specifications and measurements, and will also come with the purchase of the stone. 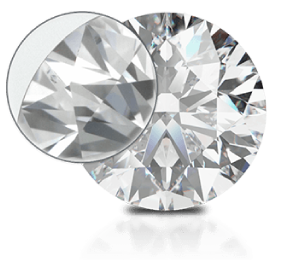 H colour in diamonds is the next to top in the near colourless category � it's just were a very faint hint of yellow starts however they are great value for money. 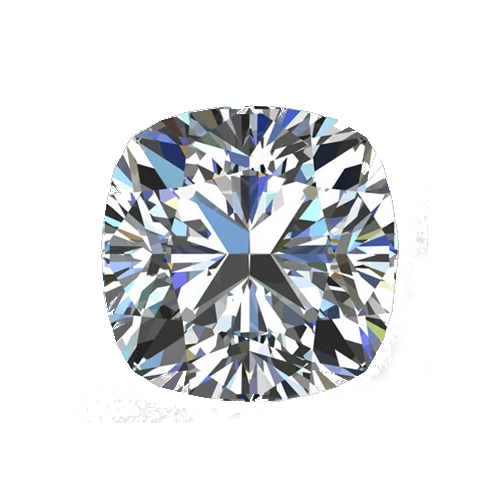 In this grade of diamonds, very precise inclusions can be seen only with difficulty under 10X magnification by trained diamond grader. 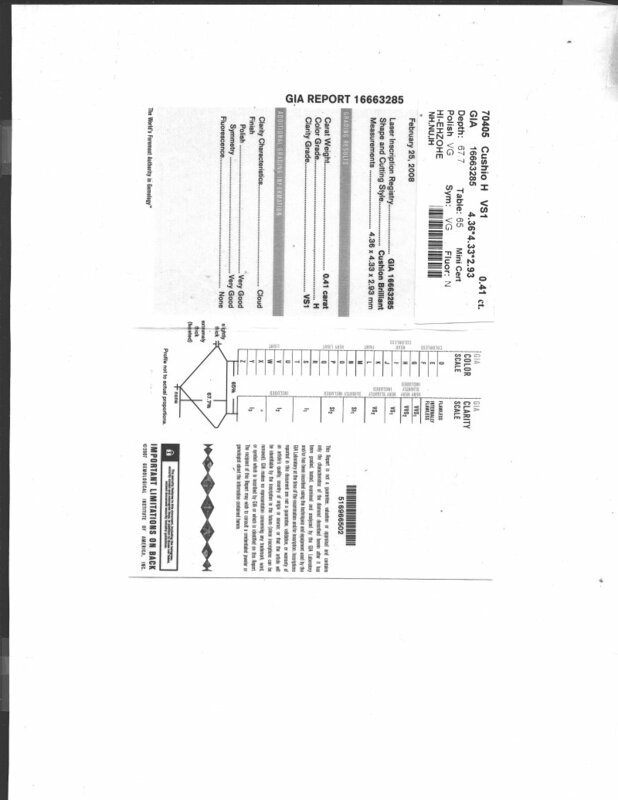 These inclusions are not visible to naked eyes; only 1 in 100 untrained observers can detect the grade VS1 inclusions with naked eyes, that too under ideal condition. 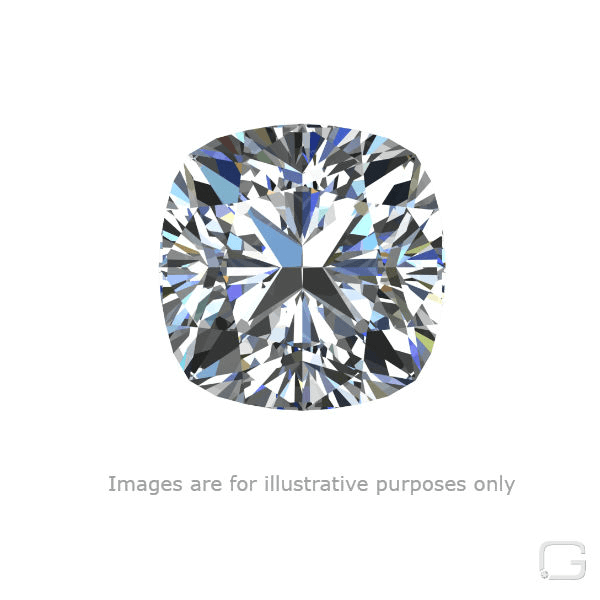 Cushion cuts are renowned for their impeccable fire - greater than any other diamond cut. This is due in part to the various patterns that its facets can form, both based on the roundness and depth of the cut itself.